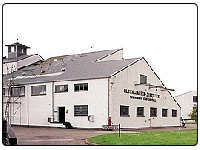 Glenallachie Scotch Whisky Distillery was built in 1967 and is in the Speyside region of Scotland. It is still active in its production of the Glenallachie 12 Year Old. The contact details for the distillery are Glenallachie Distillery, Aberlour, Banffshire, AB38 9LR and the telephone number being +44 (0)1340 871315. The visitor centre that is onsite has a different phone number and this is +44 (0)1340 871204 .